Just hearing the words “thank you” can be enough for someone to feel appreciated. But actions speak louder than words, and there are many ways to demonstrate gratitude as we approach Volunteer Appreciation Week. Consider the estimated value of a volunteer hour which is about $23.00. Multiply that by the hundreds, if not thousands, of volunteer hours contributed at your organization, and you’re sure to come up with an astonishing figure. But really, aren’t volunteers priceless? Schedule ‘thank you’ moments on social media. Take a recorded or live video of staff (or the people your organization serves) and post it to social media each day. Share the impact of your volunteers on social media. Each day, let your followers know how many meals are served each year, how many hours mentors give each week, etc. Host a special volunteer appreciation event. You don’t have to spend a lot to show you care. Try any of these. Organize a simple get-together, such as an ice cream social, coffee and donuts, a picnic or a barbecue. Have staff and board members prepare food. In addition to saving some money, your volunteers will feel extra special when they see the staff and leadership of your organization doing the work to prepare and serve a fantastic meal. Identify a sponsor to defray the cost of your event. Sponsorship can extend beyond fundraising events. Include an information table. Put out some postcards and flyers at your event that describe other volunteer opportunities, events, and ways to give. Have a staff member stationed here to answer questions. Provide nametags. At your event, have printed nametags that also state how each person volunteers. These are great conversation starters! Make connections! One reason people volunteer is to network and meet other people. So be intentional and introduce your volunteers to board members and committee members. It gives you an opportunity to brag about your volunteers to leadership, while cultivating new relationships within your organization. Say cheese! Be sure to capture all of the events of Volunteer Appreciation Week and share on your website and social media. What better advertising to prospective volunteers and donors than the many smiling faces of your volunteers! Send thank you notes. Divide and conquer – give each staff member a list of volunteers to send thank you notes. 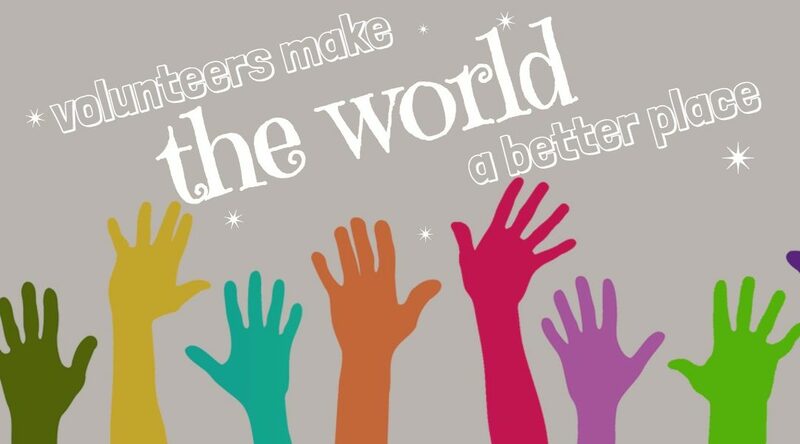 Whatever you plan for this week, encourage staff to take time each day to thank a volunteer. Volunteers are the unpaid staff of your organization. Letting them know how much you appreciate their time and talents is important to cultivating long-term, positive relationships.